The GBP/USD climbed for a fourth consecutive day on Tuesday, retracing brief intraday losses stemming from mixed inflation data. The GBP/USD was trading near daily highs in the European session, advancing 0.2% to 1.5627. The pair was on the defensive earlier in the session, having dropped to a daily low of 1.5540. Cable is enjoying positive upside after breaching the immediate resistance at 1.5590, leaving 1.5635 as the next target. On the downside, initial support is likely found at 1.5485, the low from Monday. The daily outlook for the GBP/USD is slightly bullish, having gained three-quarters of a percent over the past five days. In economic data, Britain’s inflation rate returned to positive territory in May after turning negative for the first time since 1960. The consumer price index (CPI) of goods and services rose 0.1% in the 12 months through May, after declining 0.1% the previous month, the Office for National Statistics reported on Tuesday. The retail price index, which monitors inflation for a specific basket of retail goods and services, increased 1% annually, official data showed. In other trading, the British pound fell into losses against the euro, as the EUR/GBP fell below the 50-day moving average. The EUR/GBP tumbled 0.5% to 0.7193. The pair is testing the 0.7200 support line. Further losses below that level could expose 0.7165. On the upside, initial resistance is likely found at 0.7253, followed by 0.7275. In Eurozone news, German investor confidence declined for a third consecutive month amid concerns that Greece could default on its massive €240 billion bailout. Greece and international creditors are expected to resume negotiations at this week’s Eurogroup meetings in Luxembourg. ZEW’s economic sentiment indicator for Germany plunged more than ten points to 31.5, well below forecasts calling for 37.1. The assessment of the current situation fell to 62.9 from 65.7. 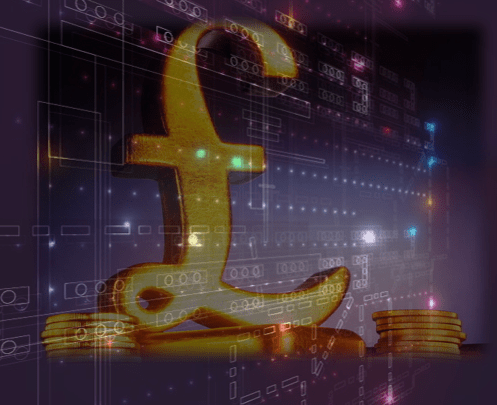 The British pound could face significant price action on Wednesday after the Bank of England releases the minutes of its June policy meetings. The ONS will also release monthly employment figures, including the claimant count change and the ILO unemployment rate.